I love pizza. I think my husband and I could eat it several times a week, every week, and never get sick of it. Lately we’ve been eating a lot of flatbread as well. 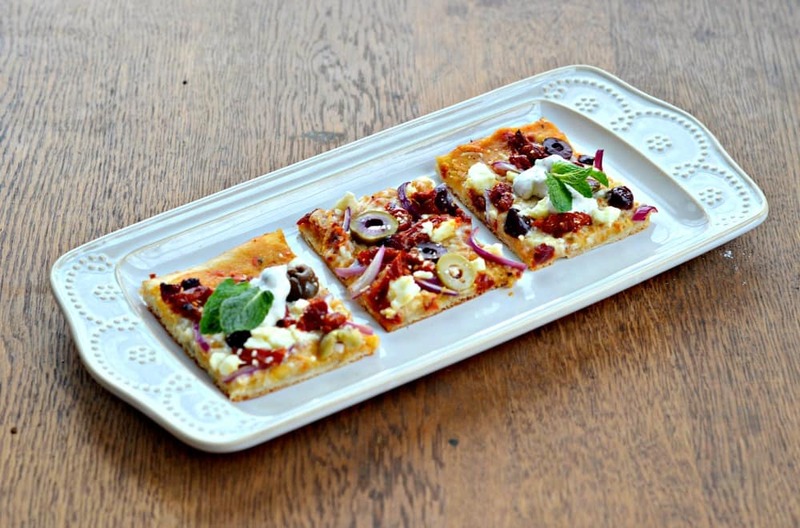 We use many of the same ingredients that we would use on the pizza but the crispy, flat dough is delicious. The possibilities are endless. 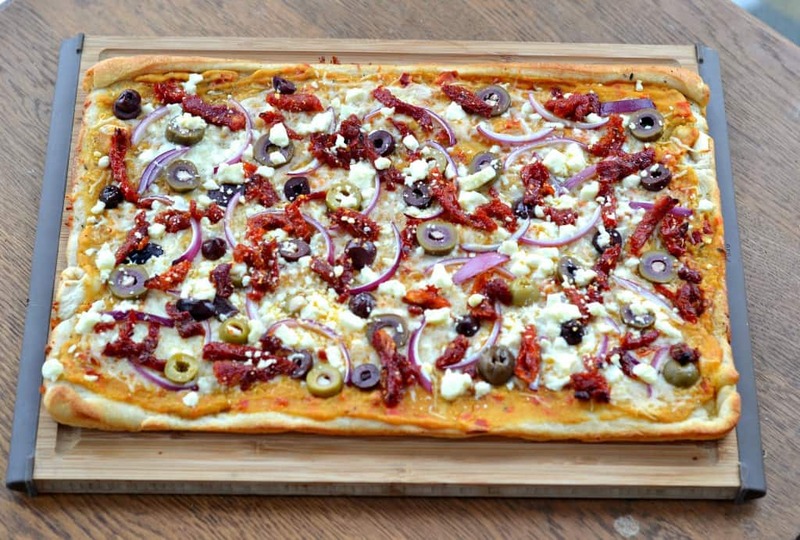 From traditional pizza ingredients to outrageous meat and fruit options, we’ve been having fun with our flatbread. 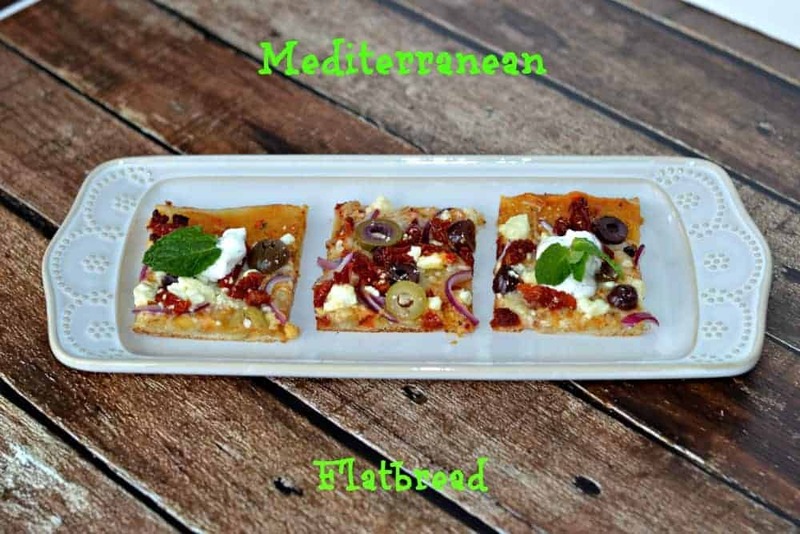 My newest addition to the flatbread we’ve been eating is a Mediterranean recipe. 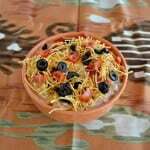 I used all of our favorite ingredients, including hummus, olives, sun dried tomatoes, and feta cheese. While I would normally make Tzatziki sauce to go with the flatbread, I forgot to buy Greek yogurt at the market so that wasn’t happening. However, I did find a delicious substitute and one that I will be buying in the future a LOT. It’s Sabra Cucumber and Dill Greek Yogurt Veggie Dip. It’s similar to my homemade Tzatziki and is so much simpler since I don’t have to make it! It went along perfectly with the Mediterranean flatbread. 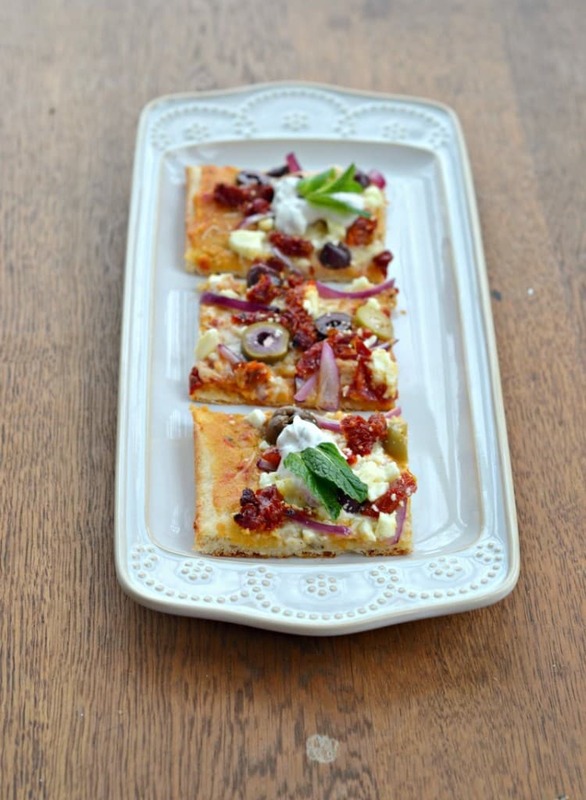 The flatbread had a crisp crust and the feta added a bit a saltiness to the dish. The olives, red onions, and sun dried tomatoes all added their own unique flavors and when it was dipped in the Cucumber and Dill Greek Yogurt dip it was just about perfect! 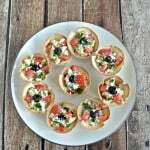 This is a great dish to serve for dinner or cut it up into triangles for a delicious appetizer. Unroll the thin crust pizza on a 15 x 9 pan. Brush with olive oil and sprinkle with oregano and black pepper. Bake for 5 minutes. Remove from oven and spread the hummus over top of the flatbread like sauce. 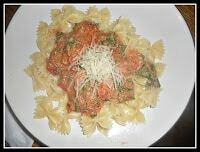 Sprinkle with the mozzarella cheese. Sprinkle the flatbread with the olives, red onions, and sun dried tomatoes. Then sprinkle the feta on top. Bake for 10 minutes or until the crust has browned. Remove from oven and allow to cool for 2-3 minutes. 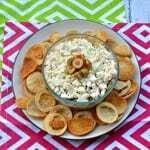 Cut into squares and serve with Cucumber and Dill yogurt dip. 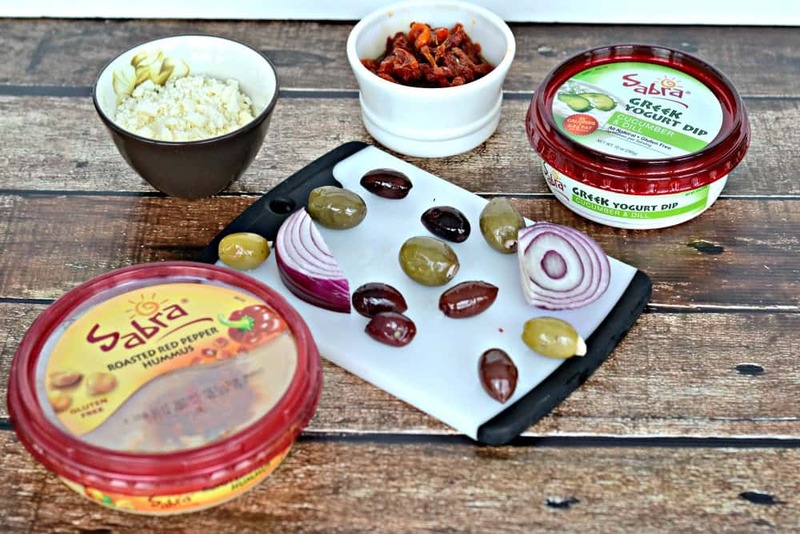 I was compensated by Sabra as part of the Tastemakers Program but all photos and opinions are 100% my own. Awesome! This looks delicious! I love this type of pizza! I’m not a Mediterranean lovin’ girl. I don’t like olives or feta. However, this pizza looks yummy and like something I could make for my vegetarian daughter. She is an olive loving girl. Thanks for the idea. I’m with you though, I could eat pizza a lot of days of the week.